“There’s an app for that!” is an iconic Apple Inc. slogan, one of several companies capitalizing off of the trend of desktops being replaced by mobile devices. According to a five year report by “Flurry,” a leading producer of app analytics, consumers now spend two hours and 42 minutes a day on their phone, with 80% of that being used for apps and only 20% for internet search. This increase in phone usage means the need for apps continually increases as well. From documenting every second of your life to maximizing your next selfie, there truly is an app for everything. 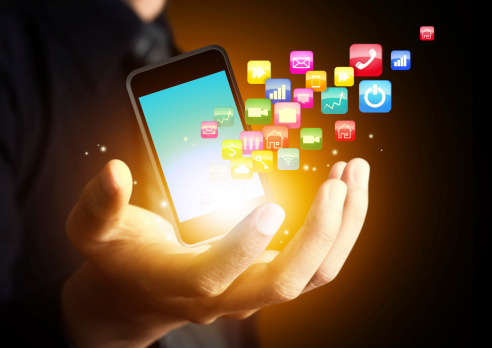 Among those millions of apps are actually some very useful tools for job seekers. So which of them can help you land that next job? Below you’ll find five apps that are sure to make an impact on your interview preparation. Knowing your audience is very important in many facets of life, and it can definitely be a winning factor in an interview. Glassdoor calls themselves the world’s most transparent career community. It is a largely crowd sourced online resource that connects you with company information, employee reviews, salary information, and job descriptions. This knowledge can be helpful in giving you a deeper understanding of the companies that you are applying with. Once you get in the door of an employer, it’s not always smooth sailing. Some hiring managers will ask you tough questions that could rock your boat if you aren’t prepared. This quick-flip app displays questions similar to flash cards and lets you get familiar with frequently asked questions so you can give solid, confident answers. A simple app by career search company Monster. This app has multiple tools to help you prepare with sample interview questions, company research tools, and last minute tips to keep you calm and collected on the interview big day. Another unique function it provides is a post-interview calendar option. With this you can set reminders for follow up calls and save important notes that you can reference if you get called in for a second interview. Although not directly related to the actual interview, knowing where to go for your interview can relieve one more stressor and help keep you focused on the task at hand. I speak from experience – getting lost and calling the employer for directions doesn’t help put your best foot forward. An integral part of getting your next job is dressing the part. And, anyone who wears ties in their day-to-day lives will tell you the knot in your tie is very important in how you present yourself. So if you aren’t familiar with tying a tie, this app can definitely help top off your appearance with a top-notch knot. Not everything can be solved with your digital companion, but when job hunting you can never have too much support. Regardless of how you prepare, be sure to research and prepare for the tough questions. Most importantly, be sure to stand tall, stay confident, and present yourself like you are their next most valuable employee. If you know of other apps that are complementary to the interview preparation be sure, to let us know in the comments section below. Previous Post Is Your Resume Holding You Back? Next Post Poll: Is Business Ownership for You?